The weekend-long event featured intelligent female students creating, collaborating and helping each other toward a brighter future. (Left to right) Maegan Chew, Yijun Shao, and Radhika Agrawal competed in AthenaHacks. Over four-hundred contestants from multiple universities––representing a variety of backgrounds, majors, and experience levels––gathered in the ballroom below the Ronald Tutor Campus Center on Saturday morning. Though the individuals are unique in their own right, they share a single interest: coding. 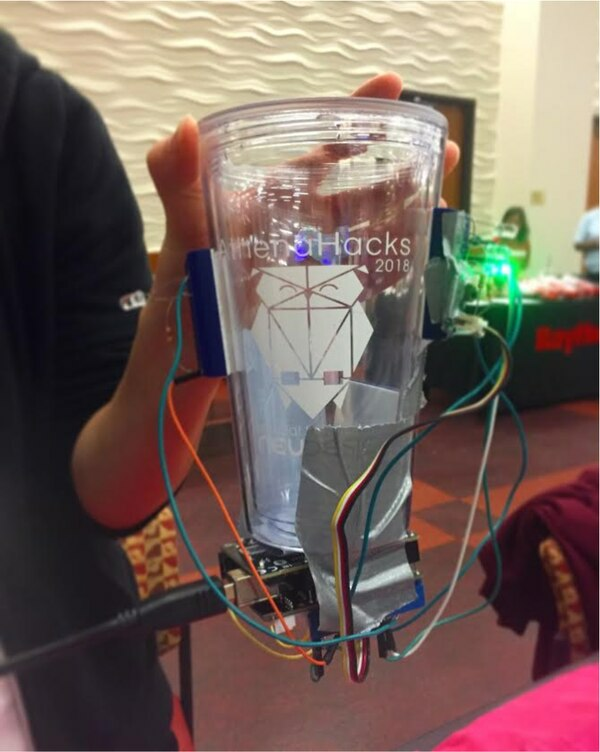 USC was hosting its annual AthenaHacks competition, a hackathon made by and for all women, including trans and gender non-binary individuals. Attendees had twenty-four hours to start and finish a collaborative technology-based project. Projects were then submitted for prizes such as AirPods, Nintendo Switches, Snapchat Spectacles, and more. Co-founder Kelly Lampotang was excited with the turnout. Lampotang, a senior studying computer engineering and computer science, was inspired to create this unique women-empowered space for female hackers the summer after her freshman year. "The big thing here is we're trying to make the environment really friendly, open, helpful, and inclusive. Just a good vibes environment," Lampotang says. "The percentage of women that are in tech jobs is really low. Doing stuff like this can really motivate women to stay in computer science. So stuff like this is really important for that reason." 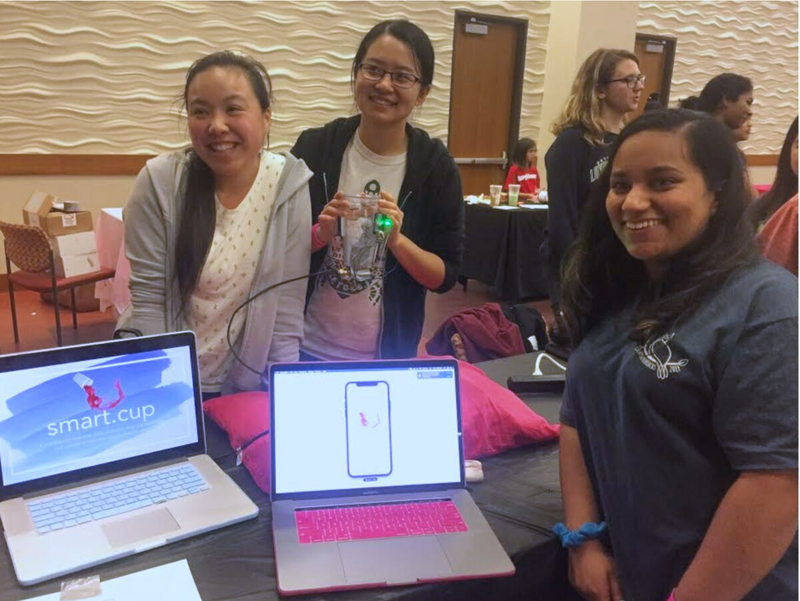 Radhika Agrawal, Maegan Chew, and Yijun Shao is the team behind SmartCup, a cup connects to an app via Bluetooth. 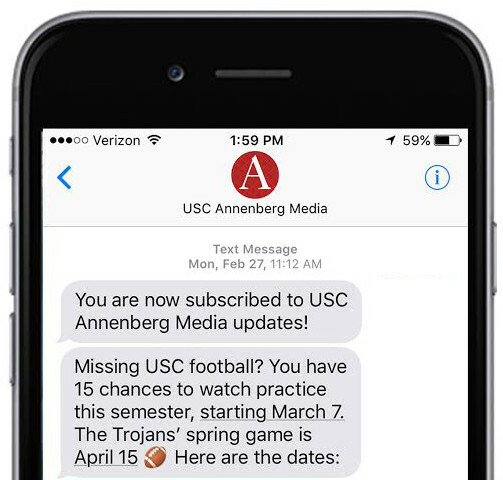 Each time the user tilts the cup back for a swig of alcohol, the cup will be able to track the amount of alcohol consumed and send that information straight to an app on your phone. The app tells the user their precise blood alcohol content. Additionally, the cup features a red, yellow, green LED lighting system that informs the user when to slow down their alcohol intake. Agrawal, Chew, and Shao developed the SmartCup to help students monitor their alcohol consumption. Their team hopes that their creation will tackle issues related to drinking, such as drunk driving and campus assault: "It is really important to gather women together, or anyone for that matter, to create a safer environment." Aside from the main competition, AthenaHacks featured a host of activities and opportunities for their attendees, all sponsored by big tech companies. Facebook and Microsoft held workshops such as "How to Hack the Cloud" and "Intro to iOS.". There was a Cybersecurity Panel held by Raytheon, resume reviewing opportunities by Zynga, a gaming tournament by Activision, and even a yoga session with ACM. "Maegan and I go to hackathons a lot and often times there are more guys than girls," says Agrawal. "So it feels nice to be in an environment that's different." "The whole main purpose of it all is just to inspire the attendees to keep doing computer science. Not only be inspired but maybe even discover something new this weekend" says Lampotang.